Arturo Toscanini - Wikipedia backgrounder. Also see Classical Notes. Canadian Music Centre (CMC) - Canada's largest collection of Canadian classical music works. Classic Cat - Classical music catalogue, indexing over 6,000 classical music performances. Classical Music - UK current affairs magazine for the classical music industry. Classical-music - BBC classical music news and reviews. Classical Net - Features more than 9000 pages and 20,000+ images including more than 6000 CD, SACD, DVD, Blu-ray and Book reviews and over 5500 links to other classical music web sites. ClassicOL.com - Classical radio station guide, classical music guide, classical music news. Gwendolyn Mok - Recording artist for Nonesuch/Elektra, Musical Heritage Society, Cala Records, and EMI. Mok can also be heard on several movie soundtrack recordings of music by Maurice Jarre. Mok is Coordinator of Keyboard Studies at San Jose State University School of Music and Dance. International Piano Archives at Maryland (IPAM) - IPAM's collections comprise the world's most extensive concentration of piano recordings, books, scores, programs and related materials, including the archival papers of many great keyboard artists. Kronos Quartet - Performing an extensive repertoire of contemporary music for stringed quartet. Madalyn Merkey - Electronic soundscapes. Music of Henri Dutilleux, The - Ivan Hewett surveys recordings of music by Henri Dutilleux, a composer with a unique voice who took inspiration from the tradition of Ravel, Debussy and Roussel, but created a sound world of sensuous harmony and colour that was all his own. 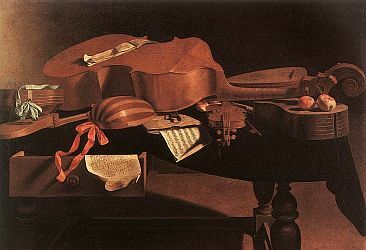 MusicWeb - Non-commercial classical music resource. Mutopia - Classical music scores. New Music Links - 11,000 links to other new music sites provided by pianist Thomas Moore at UMBC. Philip Glassography - Lists all commercially available Philip Glass items in their most durable formats, whether or not they are in print. Rachel Barton Pine - American violinist. radiOM - Concerts, sound poetry performances, lectures and documentaries in classical music, jazz, experimental music and other forms. Sheli Nan - San Francisco Bay Area composer, author, teacher and performer. West-Eastern Divan Orchestra - Composed of musicians from Israel, Palestine, and other Arab countries. Countries where the open ear has been too often replaced by the unsheathed sword, to the detriment of all. YourClassical - A collection of curated streams, unique programs and features. Yuja Wang - Official site of the gifted Chinese classical pianist. This webpage last updated on Friday, November 23, 2018 2:59 PM.